I was elected as a Councillor in 2004. I was born in Gateshead and have always lived in the area. I am married and have one son. I have worked in factories and within the retail sector in Gateshead. Throughout my working history I have always been a member of a trade union. For twenty years I was actively involved with the trade union movement and held the position of Shop Steward and Benefits Officer, and attended conferences and training courses on health and safety issues, pensions and recruitment drives. As part of my role as Shop Steward I represented members at disciplinary hearings on grievance issues. The experience I gained from the trade union movement directed me into further study and as a mature student I gained an Honours Degree in Social Studies at Gateshead College in 2001. I enrolled at Northumbria University and graduated in 2002 and when I was awarded a Post-Graduate Diploma in Housing Policy and Management. 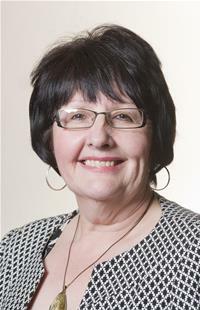 I gained some experience working within Newcastle City Council, and became a councillor for the Chowdene ward in 2004. In 2005 I became Deputy Mayor of Gateshead which I felt was a memorable time within my life from which I gained valuable experience. I was honoured to become Mayor of Gateshead in 2006 and it was a pleasure to serve the people of Gateshead. When my term of office ended, I was elected to the position of Vice-Chair of the Sustainable Communities People OSC and also Women's Officer for Gateshead CLP. I am Chair of the Appeals Committee and a member of the Care, Health and Wellbeing OSC.